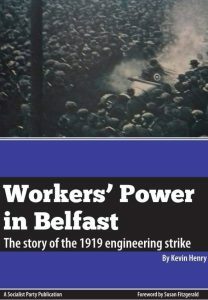 The 1919 engineering strike was a titanic battle of the Belfast working class. The strike united working class Protestants & Catholics as well as demonstrating the enormous latent power of the working class in society. 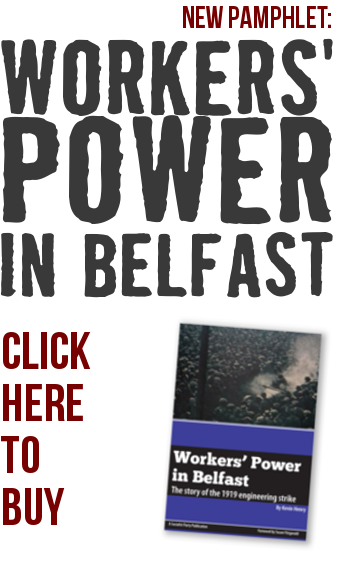 For four weeks, Belfast was shutdown, with the strike committee playing a role in the running of the city. This pamphlet examines this often forgotten about strike. A new generation of trade union and socialist activists can learn much from this historic strike to prepare for growing battles against the scourge of austerity & sectarianism and for workers’ unity & socialism. The Socialist Party is a cross-community socialist organisation that stands with working-class people against oppression, poverty and sectarianism.